HTC’s new Dot View case for the HTC One M8 is pretty sweet, and our own Alex Maxham seems pretty fond of his. 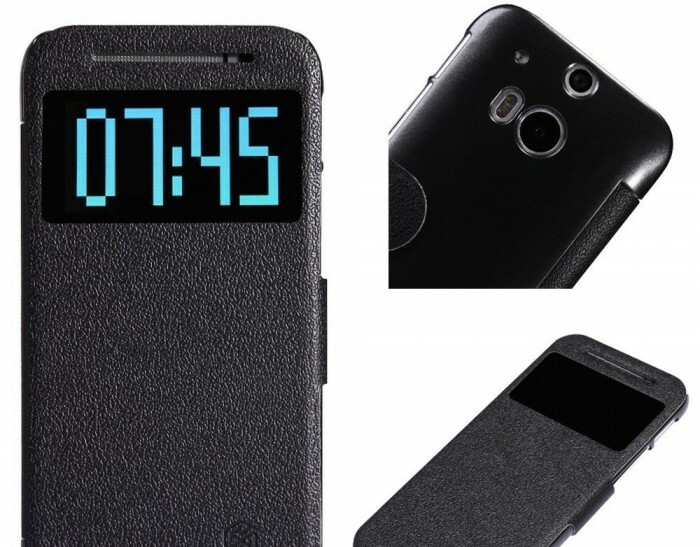 If you don’t particularly care for the design of the official Dot View case from HTC, some good news for you is that there are some third party case manufacturers that seem to be working on their own version of a Dot View case that looks just a little different but provides the overall same functionality as the original. I still stick to my guns in saying the HTC One M8 would not get any love from a case in my hands, but others prefer to do the absolute most that they can to ensure that there phone is protected, no matter how good it looks without a case on it. Now you don’t necessarily have to go with a case that acts like the Dot View, but if you want that easy to glance feature that it provides for quick views of information, this new third party case from a company called Nillkin is worth a look. It’s called the Fresh Slide Flip, and instead of turning the whole front face-which we think is the coolest part about the Dot View-into a viewing screen of notifications, time, and missed calls, the Nillkin Fresh Slide Flip case has a small viewing screen towards the top, similar to the Flipview covers for the Samsung Galaxy devices. From the looks of things it only displays the time, but its stated at the companies website that the case also provides the user with a caller ID function for when you get calls. The case is made of a faux leather and comes in Black, White, Blue and Red, and will only set users back around $12.80 on Amazon as opposed to the $24.99 from Nillkin themselves. It may not provide as much information as the Dot View but it certainly has a more friendly price tag associated with it. As you would expect of any case, all the buttons and port connections are accessible and use of the camera isn’t hindered. If you’re still on the hunt for a case to cover up your brand new HTC One M8, see if these cases from Nillkin fit what you’re looking for. The post Third Party Dotview Style Cases Begin Showing Up For The HTC One M8 appeared first on AndroidHeadlines.com |.